Our beautiful planet is rich with a startling treasure trove of health-boosting herbs. We hear a lot about herbal healers like jiaogulan, ginseng, eleuthero, reishi, chaga, and more. Each enhances wellness in a myriad of ways, and really blows up certain benefits under that healthiness microscope to epic proportions—even when compared to other healthful sources like nutritious foods. But we don’t talk about he shou wu much. He shou wu is an herb just as powerful, effective, and legendary as these other herbs like it. Research shows this botanical is a top contender in the adaptogen category. Below, we’ll explore 15 ways he shou wu is the exact herb people need in their lives. 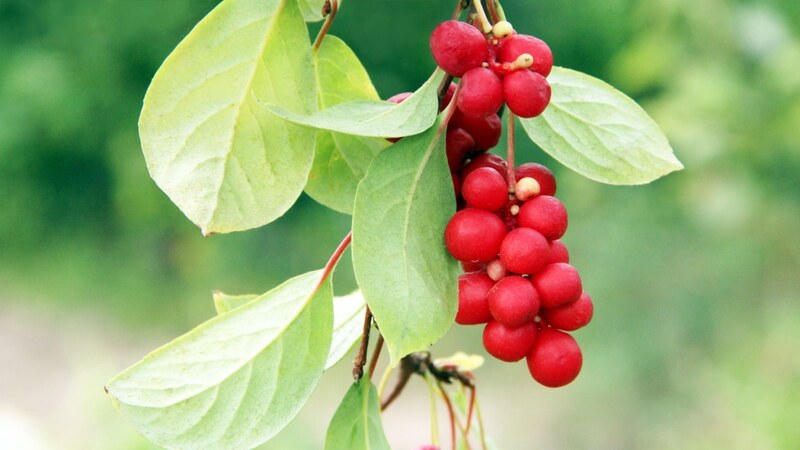 He shou wu— also sometimes called fo-ti, and scientifically known as Polygonum multiflorum—has many health benefits. The majority of them all stem from one thing: it contains the motherlode of antioxidants. Studies (like this one in 2014) on the herb have unveiled that it contains polysaccharides, which are potent phytochemicals. Many of these in he shou wu have antioxidant properties. By stopping oxidation and scavenging free radicals, he shou wu’s compounds make it great at slowing down the natural processes that start to break down the body, such as aging and chronic disease. But it also can stop chronic inflammation, which happens due to cellular oxidation. 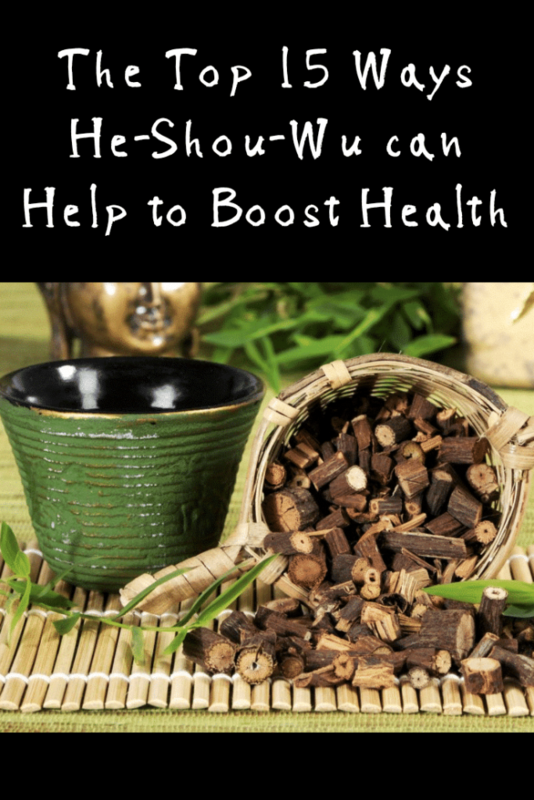 This thus makes he shou wu an anti-inflammatory and ultimately healthful herb. Being chock-full of antioxidants and able to halt harmful chronic inflammation is all well and good. Yet all these antioxidant properties have yet another perk to them: they could also help boost and strengthen the immune system naturally. Naturally, antioxidants help the immune system by reducing burdens it faces in the body. It does this by curbing chronic inflammation, which tends to be a faulty and even overactive immune response in the first place. What’s even better? Studies are showing very direct benefits between he shou wu’s antioxidants in the immune system. In one study, use of the herb had such a beneficial anti-allergic effect on the immune system that it helped open airways in test subjects experiencing asthma. Experience lots of viral infections much? What about lots of colds and flu during the winter season? On top of boosting immunity to help combat viruses, he shou wu also has anti-viral potential. This means it can literally kill viruses or create an environment where they can’t survive in the body. A 2014 review of different Polygonum species, including he shou wu, attributed them with anti-viral benefits all across the board. This also included activity that could possibly shut down and treat the influenza virus. Yet another study in 2010 found the herb contained compounds powerful enough to fight HIV. Perhaps one day, with more research, the herb may be a therapy for HIV and other viral illnesses. This Chinese herb has drawn quite a bit of attention and research. In all other areas, it probably hasn’t drawn quite as much attention as it has with liver health. In one 2011 study, he shou wu’s antioxidants were shown having some strong liver protection potential. It also appeared to help protect the liver against certain cancers. But this liver-protection is a double-edged sword. If too much is taken, it could cause liver damage—all the reason to find a perfect balance with it and to follow supplement dose instructions and make sure that the he shou wu you has been given time to age and be properly prepared. 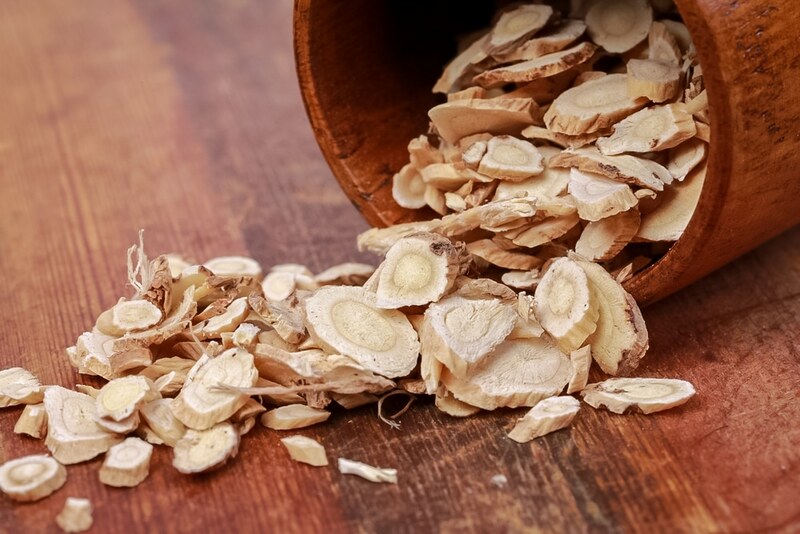 If it’s prepared, though, he shou wu could do wonders for the liver: including some support of its natural detoxification, or reducing the chances of fatty liver disease. 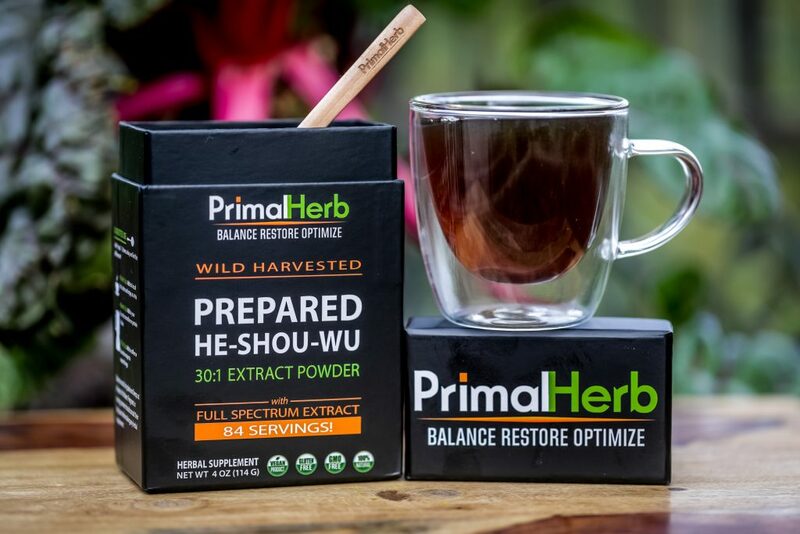 This is why here at Primal Herb we make sure all our He Shou Wu has been given the time to mature and age for 6-8 years to ensure potency and effectiveness. Once harvested the roots prepared the traditional way sliced, stewed with black beans, dried and then extracted to make sure that we provide only the purest and most potent quality. That’s right: on top of promoting immunity bolstering liver health, he shou wu may even have good news for people with type 2 diabetes—and those worried about getting it, too. In a 2010 study, he shou wu’s antioxidant compounds helped reduce oxidative stress caused by very high blood sugars commonly associated with type 2 diabetes or its development. Not only that—a 2016 study showed these effects could also help protect against kidney damage in people who had already developed type 2 diabetes. And, last but certainly not least, another 2016 study showed he shou wu could help many aspects of fructose-induced metabolic disorders. This even meant improving blood pressure and lowering insulin resistance as well. Want to use every possible tool in the toolbox to ramp up cardiovascular health? Well, regular exercise and a great diet is one thing. But studies show he shou wu maybecholest a little special extra icing on top of the heart health cake. One study in 2014 showed that, despite stress on the heart, compounds from he shou wu helped heart tissue function continually well and stay relatively the same. No doubt, this is due to some powerful antioxidant benefits. 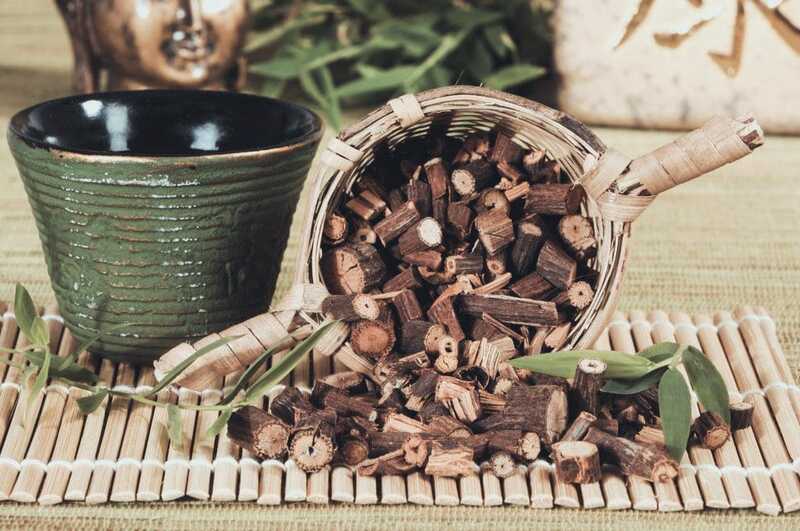 In Traditional Chinese Medicine (TCM) as well, he shou wu is listed as one of the most often-used herbs to successfully help lower elevated blood pressure, with evidence-based and traditional use for thousands of years backing it up. Branching out from cardiovascular health, he shou wu appears to have some additional ability to lower cholesterol. This, in turn, can do wonders for overall heart health—though high cholesterol can also have a number of other negative health impacts elsewhere, and not just on the heart. One 2014 study took a hard look at certain phytochemicals in the he shou wu plant. It found that a number of them literally helped process and break down LDL (bad cholesterol) quicker and more efficiently. The herb, when combined with many others used in Traditional Chinese Medicine, helped lower cholesterol in this 2014 study as well. It may not have acted on its own here, though it did contribute to cholesterol-improving effects. If he shou wu is good for cholesterol, then it’s good for hardening of the arteries. That’s because atherosclerosis—the clinical term for hardening of the arteries—is often caused by high cholesterol. Coupled with high blood pressure, these two factors together can really catapult one’s heart disease risk into a high stakes game. Luckily, as it so happens, he shou wu is quite often described as very heart-healthy due to its multi-faceted support for lowering high blood pressure, cholesterol, and reducing hardening of the arteries, such as in this 2014 review. This review also mentioned a couple other studies in passing, including one study were subjects experienced reduced atherosclerosis taking he shou wu. For yet another benefit to cardiovascular health that still shouldn’t be overlooked, he shou wu may help with some blood clotting disorders. Apparently, in a 2014 trial, a specific compound extracted from the herb was found to help with human blood platelet development. In particular, it reduced platelets from building up too much, and in any health-threatening sort of way. It did all this while still maintaining the status quo and normal health of blood flow. What this means is that he shou wu might not just be helpful to overall cardiovascular health. It could also help reduce the risk of complications from various blood clotting disorders, and thus assist people in being less dependent on medications with unwanted side effects. Beyond the liver, heart, and immune system, could he shou wu be good for the brain and even neurological brain disorders? Absolutely, according to studies. One study in 2016 found that he shou wu’s antioxidants could be “anti-neuroinflammatory.” Meaning: they could help reduce chronic inflammation in the neurons and tissues of the brain just as well as everywhere else in the body. Reducing neuro-inflammation, in turn, could improve brain function such as focus, learning, memory, and cognition. It could also preserve brain function with old age. Yet another study in 2017 found that the herb could protect against oxidative damage that damaged the hippocampus in the brain, the most important locus of the brain when it comes to memory. 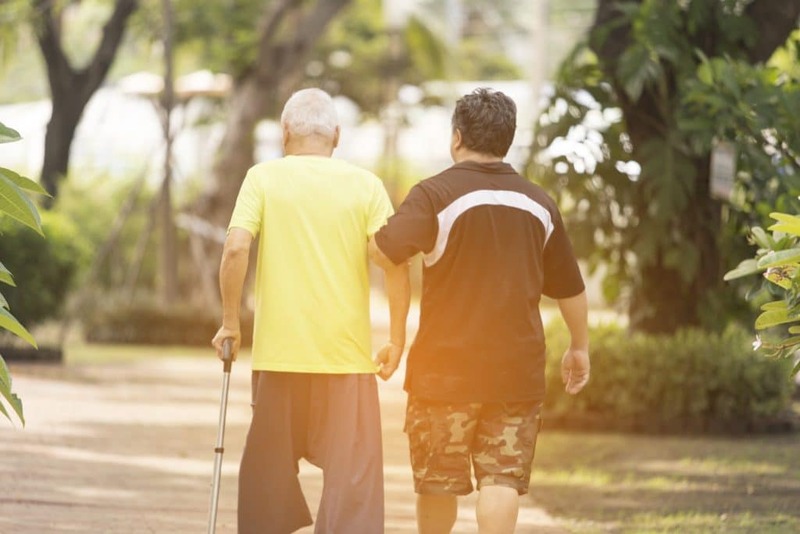 On the subject of protecting the brain, he shou wu could also be a strong player for natural Parkinson’s disease support, or even for reducing its risk. This may very well be due to findings in a 2013 study. In this trial, test subjects with Parkinson’s disease were given extracts of compounds found in he shou wu. The results showed strong neuroprotection of any neurons associated with Parkinson’s disease. It also suggested the possibility of eventual treatment, support, recovery, and even reducing its overall risk. Use of the herb also showed improvement in Parkinson’s symptoms. Though lots more research needs to be undertaken before considering he shou wu a cure, it does open the door to hopeful ideas. Good for the heart, good for the brain, and even good against stroke—these are all things that can be attributed to he shou wu. When it comes to having properties that can protect against degeneration and even Parkinson’s disease in the neurons and brain, then its easy to make conclusions on how this ancient Chinese herb could also benefit against stroke risk. Studies have a lot to show and support on the subject, too. A 2014 trial found that most likely owing to its antioxidants, he shou wu could block damage from happening in the brain due to stroke. Like Parkinson’s, though, lots more research will be needed before calling, using, or even considering the herb a stroke treatment. Getting restorative, deep sleep is an essential foundation to good health. Amazingly, he shou wu can help in this department, too. It may also have substantial enough benefits to support better sleep even in those with sleep disorders and insomnia as well. One 2017 study explored the use of he shou wu as one of the most widely-prescribed herbs for sleep in China and Traditional Chinese Medicine. Turns out tradition lines up with modern science: results showed that the herb regulated sleep length and stopped insomnia from happening in advance. Another study in 2014 on he shou wu and sleep found that this also helped cases of insomnia and sleep disorders in people with anxiety and bi-polar disorder, too. Surprisingly, he shou wu’s most ancient claim to fame may be that it helped enhance hair growth. In fact, an ancient Chinese figure was believed to have a thick head of hair all throughout his lifetime—even in his old age—thanks to the herb. But what does research have to say? Quite a bit, it would seem. In a 2011 study, he shou wu extract increased both the size and number of hair follicles in test subjects with shaved hair patches compared to unshaved areas. In a 2013 study, it also increased the number of certain cells that contribute to better hair natural growth on the skin surface. It even did so better than over-the-counter hair growth promoters! One of he shou wu’s greatest assets, research shows this plant may protect against the deadliest chronic disease of all time: cancer. Because it’s an antioxidant, it can forestall free radical damage that opens the door to cancer and tumor development. Studies have been undertaken to explore its potential against a wide range of cancers. This includes colon cancer, breast cancer, gallbladder cancer, and more. In each, besides just shutting down free radicals, he shou wu also induced death in cancer cells. By this measure, he shou wu both effectively reduces cancer risk as well as kills cancer. One day, with more research, it could even be an alternative treatment candidate.